Trying to understand running shoe width differences can be mystifying. To help you out, below RunningWarehouse.com has answered the shoe width questions most frequently asked by customers. How Much Wider is a ‘Wide’ Shoe? The actual width of a shoe will vary a bit from brand to brand and shoe to shoe. For instance, one of our RW staffers can wear most New Balance shoes in a standard width, but finds even the wide width of most Saucony shoes to be a bit snug. When a shoe increases by a width (for instance, from D to 2E), it increases by about 10 millimeters. How do I know if I might need a wider shoe? If you’re getting blisters on the sides of your forefoot, if your foot hangs over the edge of your shoe’s platform, or if the shoe is cutting off circulation to your toes, then you might need a wide or extra wide shoe. How do I figure out which width I need? The most accurate shoe fit, including width fit, is measured using a tool called a Brannock Device(shown above). Most running retail stores will use this tool to determine the size and width shoe that will work best for you. If you don’t have access to a Brannock Device, then you can gauge which width you need by the fit of a standard width running shoe. If the upper of a standard width running shoe is too snug, but the platform feels good, then you probably need a wide shoe. If your foot is spilling over the platform of a standard width running shoe, then you likely need an extra wide shoe. If the upper of the shoe feels too roomy, then you might try a narrow shoe. What’s a “regular” width shoe? What part of the shoe is wide in a wide shoe? In most wide shoes, the upper material around the forefoot is about 10 millimeters wider than the upper of a standard width shoe, while the shoe’s platform does not change. In an extra wide shoe, the upper of the shoe is wider than a standard width shoe, and the platform is also about 20 millimeters wider than a standard width shoe. What part of the shoe is narrow in a narrow shoe? In most narrow shoes, the upper material in the forefoot is about 10 millimeters narrower than a standard width shoe, while the platform does not change. In an extra narrow shoe, the forefoot area is narrower than a standard width shoe, and the platform is about 20 millimeters narrower than a standard width shoe. Which widths are available in Men’s running shoes? Which widths are available in Women’s running shoes? If a woman needs a D width shoe, can she buy a Men’s D width shoe? Yes. A woman’s wide shoe (width D) is the same width in the upper as a Men’s standard shoe (width D), though note that in most cases the Women’s shoe will be built on a B width platform, while the Men’s shoe is built on a D width. Also, the upper dimensions of the Women’s shoe may be slightly different than those of the Men’s shoe, if the manufacturer uses a gender-specific fit. If a woman is buying a Men’s shoe, she should size down 1.5 sizes from her typical shoe size to figure out her Men’s shoe size. For example, if she wears a size 9 in Women’s, she would wear a size 7.5 in Men’s. How do I find shoes available in wide widths on your website? First, click on the “Search Shoes” Product Finder on the right-hand side of our homepage. Then, select either the Beginning or Experienced shoe finder. In both of these finders, you can search for narrow, medium, wide, or extra wide shoes. Shoes available in widths also will display “Widths Available” beneath the thumbnail picture of the shoe on category page. Heard it from Mikey Miss on 97.5 The Fanatic yesterday. Missanelli definitely knows his stuff. It is from the famous play Hamlet. Had to find the original. Here you go. Is it better to live or to die? What Hamlet is musing on is the comparison between the pain of life, which he sees as inevitable (the sea of troubles – the slings and arrows – the heart-ache – the thousand natural shocks) and the fear of the uncertainty of death and of possible damnation of suicide. Hamlet’s dilemma is that although he is dissatisfied with life and lists its many torments, he is unsure what death may bring (the dread of something after death). He can’t be sure what death has in store; it may be sleep but in perchance to dream he is speculating that it is perhaps an experience worse than life. Death is called the undiscover’d country from which no traveller returns. In saying that Hamlet is acknowledging that, not only does each living person discover death for themselves, as no one can return from it to describe it, but also that suicide os a one-way ticket. If you get the judgment call wrong, there’s no way back. The whole speech is tinged with the Christian prohibition of suicide, although it isn’t mentioned explicitly. The dread of something after death would have been well understood by a Tudor audience to mean the fires of Hell. The speech is a subtle and profound examining of what is more crudely expressed in the phrase out of the frying pan into the fire. – in essence ‘life is bad, but death might be worse’. Candidates are rarely job-hunting experts. Even if you have the qualifications for the job you want, you must use the best strategy for success in today’s highly competitive job market. Networking purposefully accelerates campaign progress. If you follow career industry trends, you know that only a small proportion, about 15% of jobs, are advertised. Today, the vast majority of positions are filled through personal contacts. Put simply, access to employment opportuntiies depends on connections to learn about potential leads to newly created roles, organizational restructurings, new needs, unexpected vacancies and authorized hiring. 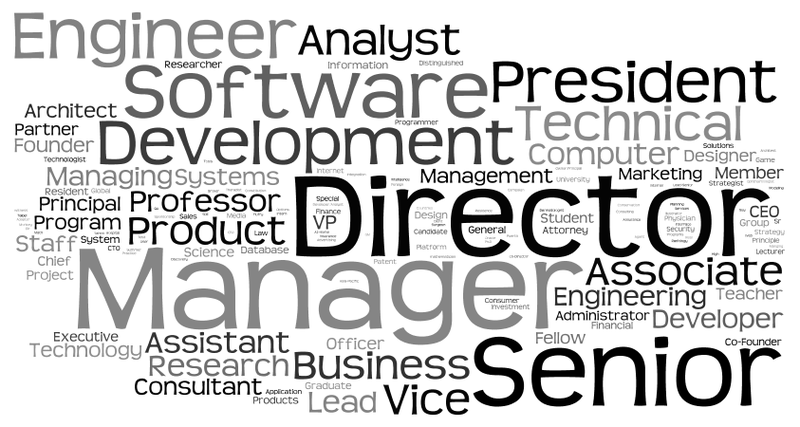 Unadvertised jobs are often referred to as the hidden job market. The unadvertised or hidden job market is, except for that 15% mentioned above, where the jobs are. You are more likely to find a job using networking as your primary job search method than if you emphasize quantity over quality submitting numerous resumes and applications. Chances are against landing using the job boards, working with external recruiters, combing corporate websites, searching on classified and professional listings, online specialty and general job sites, attending career fairs, etc. It is not just what you know or who you know, but who knows you, appreciates your potential contribution and has the authority to hire you. You must make more strategic contacts. That is connect with individuals who can appreciate your potential to contribute to their success by increasing profits, cutting costs or improving process AND who can hire you or recommend you to hiring authorities. In a private email, CareerXRoads Ninth Annual Sources of Hire Study author, Gerry Crispin, quotes a startling finding about the critical role that inside contacts play in the recruting process, “ An employee [connection produces] a 50 times greater chance of being hired. That’s right 50!” That fact alone is sufficient to justify job searchers focus should be on networking with purpose, not on applying. The fastest job search process is to Network Purposefully™ . Follow the steps below to execute a swift, successful job search campaign using these best practices. Focus is number one. Once you start networking within a specific niche, the world gets smaller, your your name gets passed around and starts to generate good buzz about you which builds trust and increases your credibility, both competitive advantages. Choose an industry sector and identify target companies. Research each employer and describe strengths, weaknesses, opportunities, and threats. For each employer show how you can address these challenges and solve their problems based on your experience, knowledge, skills, training, etc. Present yourself as the no risk, first choice, go-to expert who is a perfect fit. 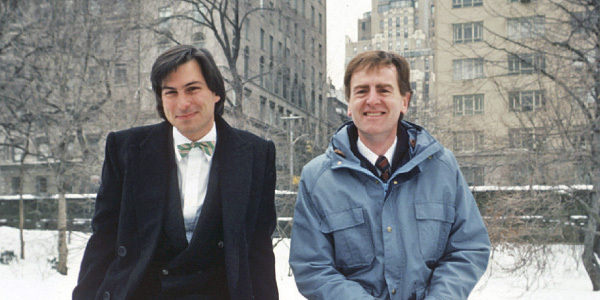 Within each target company, find the appropriate hiring decision maker. Connect with the hiring authority directly through cold calling, an introduction arranged by a mutual contact, connect virtually via social media, meet in person, etc. Succinctly present your interest and demonstrate your potential value to their team. Be patient, polite and persistent. You are not the employer’s first priority. It is your responsibility to capture their attention and promote a positive relationship. Follow up continuously to stay on the decision maker’s radar so that you will be recalled in the future for an appropriate opportunity if there is not an immediate assignment. We don’t allow ads to be displayed on our results pages unless they are relevant where they are shown. And we firmly believe that ads can provide useful information if, and only if, they are relevant to what you wish to find – so it‘s possible that certain searches won’t lead to any ads at all. I like this one from CS50. Congratulations! We are pleased to offer you admission to the Langone Program for the Washington Square Weekend option. The past four months of my life have been filled with the trials and tortures that come with applying to a competitive business school. My app had question marks in it, and all the details of my life were not totally perfect, but I believed I had what it took to go to a top school… Fortunately On June 25th NYU agreed with me. For those applying to NYU Stern’s Langone program, I put together a little guide of what to expect. This is based on what I learned from my own experience, and from the experiences of other gmat clubbers. Hopefully this will help reduce the anxiety for you, and give you an idea of what’s ahead. So here’s the deal, it’s not really rolling in the normal sense. 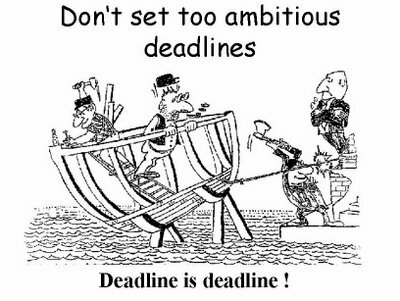 You can submit your application before the deadline, but they will NOT be reviewed until after the deadline. Furthermore, they will not necessarily be reviewed in a first in first out manner. Finally, the deadline is not usually enforced, and NYU usually takes apps months after the official cutoff date. NYU has a page where you can get the current status of your application. You’ll get a password for this at around the application deadline date. Your mental health will be best if you can resist the urge to check your status every few minutes. OCD can set in quickly. Important note: If you don’t have a password 10 days or so after the deadline, call the adcom. Also, if NYU is asking you for stuff, it usually means your file is being reviewed. Many people receive notification within 2 weeks of sending the info (me included). = Official undergrad transcript with degree conferral. = If you had transfer credits applied to your undergrad degree, then you’ll have to include the transcripts for those as well. = 2 Letters of Rec. Important note: Sometimes you will get notification of a missing item late in the process, and if you cannot get it to them quickly, you can hurt your chances of being admitted. 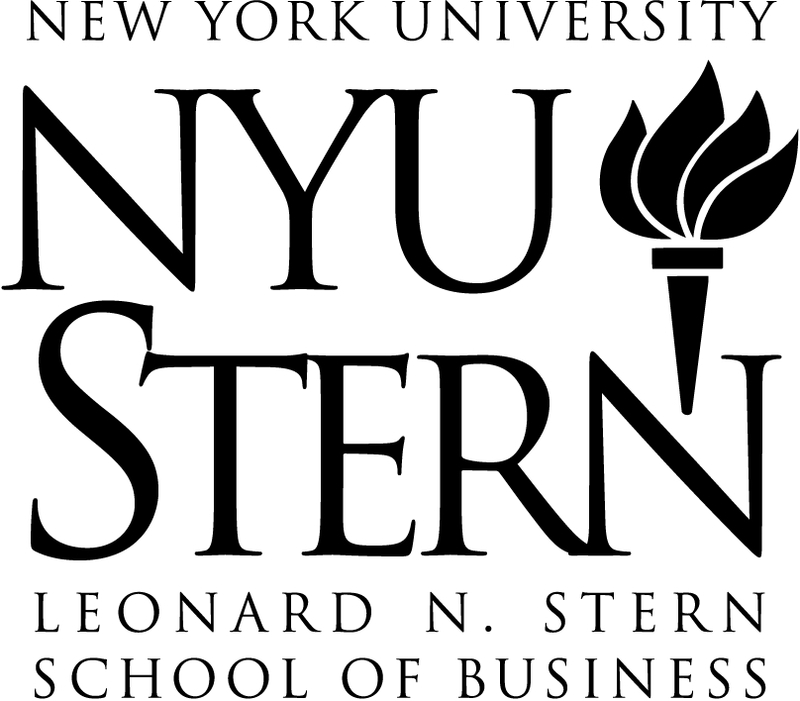 When a decision has been made, you’ll get an email saying, “There has been an update to the status of your application to the NYU Stern MBA program.” If you go to the status check page, you’ll see the decision (Accept, Interview, Waitlist, Decline.) The official mailed package will follow in about 2 days. Notifications can happen as soon as a week after the app deadline for re-apps and exceptionals, but most people will hear 1 – 2 months out. Most notifications come on Tuesdays and Wednesdays, and they come in bulk. Notifications can have also come Friday and Monday, but almost never come on Thursday. The wait is awful, but you’re not alone. Once you’re admitted, you have 2 weeks to pay NYU a $1000 deposit. You can pay this right away via the new student tour, or you can wait until you receive the official acceptance letter in the mail. When you get in and pay your deposit your name will be placed on the new student database, and you’ll be given access to view it (it’s pretty cool). If you copy / past the database in to excel, you can get a count of how many people were admitted so far (it’s polite to post on the GMAT club board with admit count updates whenever you can). There is a delay of a few days between posting your deposit and appearing on the database. Also, the database is usually updated in the mid afternoon, and does not get updated every day. After you get in, NYU will have an outside agency (Kroll) to investigate you (and they will make you pay for this privilege). While no one knows the extent of the background check, they will definitely confirm employment history (including salaries) and degree conferrals. Furthermore, they might call your referrers, verify your certifications and check criminal records. Military guys will need to provide DD214s. My credit reports don’t show a soft inquiry from Kroll or NYU, so I doubt they are checking credit. The Kroll verification can take a long time. Do yourself and your nerves a favor and double check everything on your application before you send it. Have your paustubs / w2’s and degrees on hand, just in case. It will save you a lot of anxiety. Oh, and don’t lie on your app, not even a little bit. It’s one thing to be rejected on the truth; it’s another thing entirely to be rejected on a lie. Important note: It’s a very common thing to have an ‘official title’ and an actual title that are different. Kroll knows this. As long as your employer will say the titles are equivalent, there’s nothing to worry about. 1) Something in your application red flags you. For instance, if you live far away and don’t have a relocation plan in place, they will often waitlist you. NYU wants you to have a reasonably stable life and a good, reasonably stable job. Kellogg and U Chicago: Awesome b-schools with awesome part time programs. People will fly-in each weekend for the Saturday program. As far as prestige, both of these are equivalent to NYU in every way. Fordham – It’s quite a step down from NYU, but it is generally considered the #2 part time MBA program in NY (though Baruch competes for this honor). The university has a great name and the program is reasonably competitive. It should be ranked, but it isn’t (blame the school, probably). They have a class of 2000+ and charge near what NYU is charging, so I don’t think they care. Baruch – For finance guys, this may be a great backup. It’s well respected and has plenty of NY area recruiters. If you plan to move away from NY, then the Baruch name may lose some value to you. It’s very affordable. U-Conn: Has a ranked full time program, which adds to the prestige of the part time one. It seems like a good atmosphere for those within reach of Connecticut. Rutgers: Also has a ranked full time program and may be a great backup choice for NJ people. Pace: Not as well regarded as the above, but it’s a good school in the heart of the city. St. Johns, Hofstra… good backup schools on the island. Last edited by Tenore on Fri Aug 29, 2008 11:02 am, edited 1 time in total.